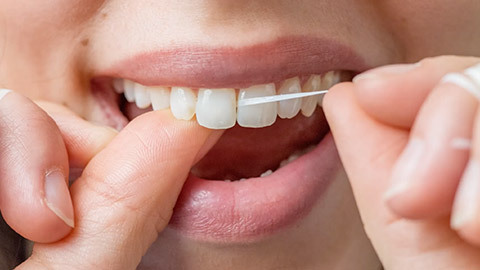 It is important to keep your mouth healthy by following general guidelines for routine cleanings and by maintaining regular visits to the dentist.. In doing so, you can prevent the build up of unwanted bacteria that over time can lead to dental decay and gum disease. regular appointments are vital for good health and prevention of problems and may include scaling (cleaning above and below the gums), polishing, x-rays, fluoride treatments, and home care hints. . Regular appointments are a part of preventive dentistry - the practice of caring for one’s oral health to avoid future issues such as cavities, enamel wear, gum disease and other potential problems that are the result of poor dental hygiene. Dental X-Rays are a helpful technique used to detect areas of decay that may not be visible during a regular oral examination. X-Rays can also reveal more serious issues such as bone loss, cysts and infection. After an examination, your teeth will undergo a deep cleaning process that should include scaling and often polishing. . These are simple techniques that are crucial to maintaining a healthy smile. If you follow the proper guidelines for oral health, you will stay at very low risk of running into any oral health issues in the future. Oral cancer can develop in any part of the oral cavity. When spreading, oral cancer travels through the lymphatic system and can appear in lymph nodes in the neck. Oral screening is done by the dental hygienist and dentist and aids in revealing abnormal lumps and lesions that may be symptoms of oral cancer or other diseases. Screening is a painless process and if any abnormalities are found, the hygienist or dentist may direct the patient to the appropriate health practitioner for their individual condition. It has been shown that the degree of inflammation in the mouth can influence various inflammatory diseases in the body, such as arthritis, heart problems, auto-immune conditions. Conversely, various systemic conditions such as diabetes or cancer treatment can affect oral health and may require special care. Oral hygiene is a simple, yet crucial routine to practice that can save you from future complications. Stop by for an oral examination and we’ll help keep you on top of all your dental needs. If you need more information about Dental Hygiene Care in Toronto, contact us today.